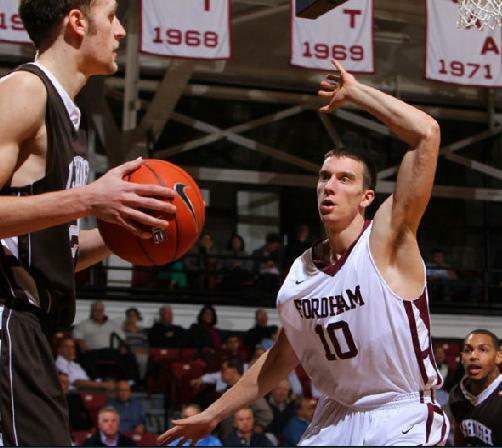 Hey Fordham Basketball fans, here is a video of Fordham’s non-conference schedule. I have been working like nuts and did not have an opportunity to upload it. Hope you enjoy it and get a chance to watch it. Thanks! Fordham has been missing a Jermaine, can the freshman be the missing link? 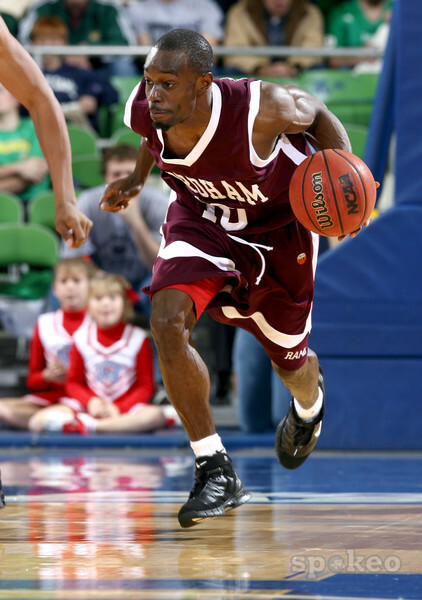 I write this post because to me, there hasn’t been an amazing point guard at Fordham since Jermaine Anderson. This year, we have a new Jermaine from Canada, and his last name is Myers. What Fordham has been missing since 2008 is a point guard with speed and smart decision making. No nack on Kevin Anderson or Brenton Butler, but could you imagine 2008 Dunston, Stout, Greene, Binns, and Anderson’s Senior season with Jermaine? They would have been a top 25 team. We saw what Jermaine could do. He could lead you to the A-10 semi-final game, he could be a court leader, and he could score the ball. Now, can the rookie do the same? When Jermaine Anderson got the ball, he ran past everyone and was able to either get a shot off or find an open teammate for a shot. If Myers can do the same, we are in good shape folks. What I have been hearing from Myers is that he has a High IQ and has developed at every single level he has played. Just hear from his coach. Something special, eh? Well that’s what Fordham needs. Throughout scrimmages, I have heard he has been turning heads and making this team stronger and better. 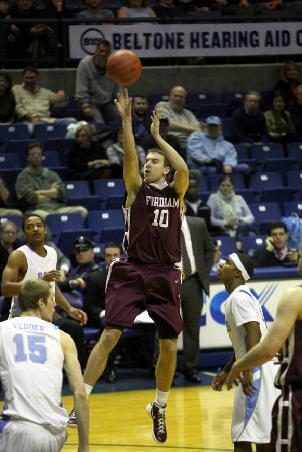 So Fordham has a real point guard? Yes, they finally do. He will have growing pains with turnovers and mistakes but I am not worried about that because I see something special in this kid. It also now takes a big load off of Fatty and his shoulder surgery. He is expected to be back around Thanksgiving time and he can return as a compliment two guard rather than having to carry the load like last season. From watching this kid play and from hearing the talk around the town, this kid is the REAL deal. I think we have got ourselves a point guard folks. If we didn’t have this kid, I would honestly have to say the year would have been difficult and losing would have been rough. But now, I see only positives and a great season out of this young guy. 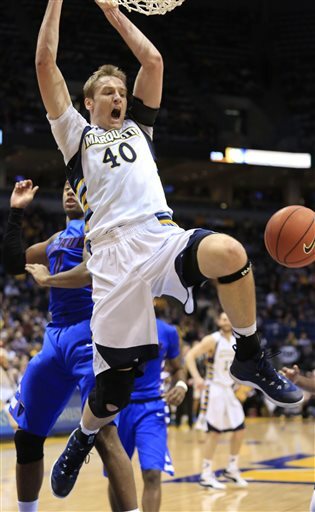 Expect a few A-10 rookie of the weeks out of this kid too. He will finally make us forget about Jio Fontan (who?) and the other point guards that have been here since Jermaine Anderson. It’s nice to have a Jermaine on campus again who could be better and that difference maker Fordham has been missing since 2007. Hey Fordham basketball fans. 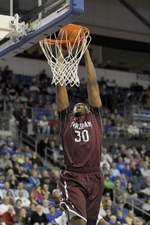 It’s 1:47 am eastern time and I am a night owl, so I thought I would write on Fordham basketball. I will have a video of the non-conference schedule before the season, so keep an eye out on that. Busy work week with tons of High School Championships across the UP. Anyways, let me get into more about the sophomore forward from Serbia. I really like the kids talents on this Fordham team. He’s got length, he plays team basketball when on the floor, and he can knock down a shot from downtown. After reading that you are wondering, why doesn’t this guy play? Well, Coach Pecora loves to play 3 to 4 guards on the court at a time. I can see them playing very small this season. Why? I have no idea considering the A-10 and most of their schedule is filled with talented bigs. But I want to see Luka play a lot more. When I watched this kid in warm ups last year, I saw potential and a team player. So why doesn’t he play? I think with Luka in the loop of the rotation this year, it could spread out the floor tremendously. 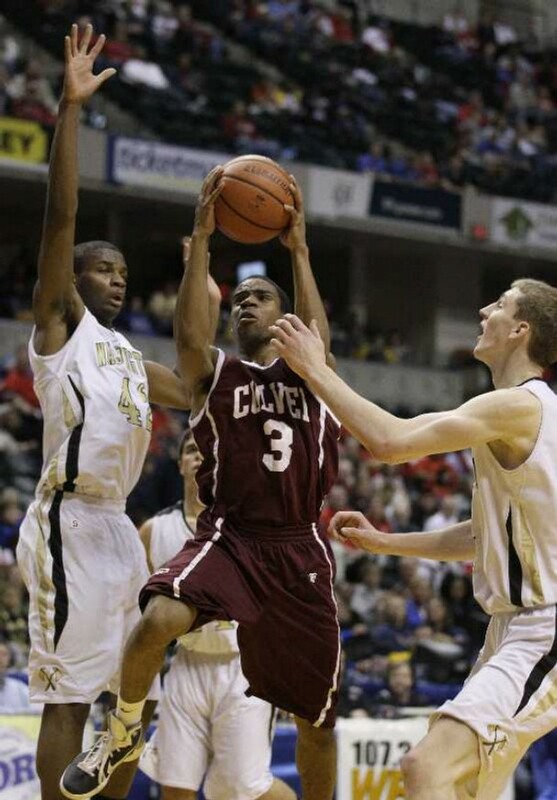 It could give isolation plays to Chris Gaston in the post which could set up potential double teams and then a kick out for an open three pointer. Just imagine if you had Jeff Short, Brandon Frazier, Jermaine Myers, and Luka on the floor? That would create instant offensive production and a ton of points because they can knock down shots and penetrate to the rim and score. Now I am not saying play him 30 minutes and make him a star. I say, play him 10-13 minutes and let him play team basketball and spread the floor. If you can spread the defense out like Coach wants in that 3 guard offense, then why not add a guy who is 6-8 and just as athletic? It’s just a thought Fordham fans. When I watched him against Syracuse and St. Louis I saw him pass like the best of them and knock down shots like the best of them. His defense needs to improve and I do understand that. But defense only gets better when you play in the game and get a feel for it. Here is a perfect scenario for Luka. Say Fordham is down by 5 with 8 minutes in the half. That should be the time Coach Pecora puts him in and uses that energy and shooting ability to his advantage. I could see him scoring 6 to 8 points by end of half and gives you a spark going into halftime. Honestly, It just stinks seeing him sit on the bench like he did last year. I think he could make an impact this season. If the coaches did a good job of working with the “project,” then we should see more of him this season. I am on board, are you?